Estonian property laws changed heavily at least five times in the 20th century. 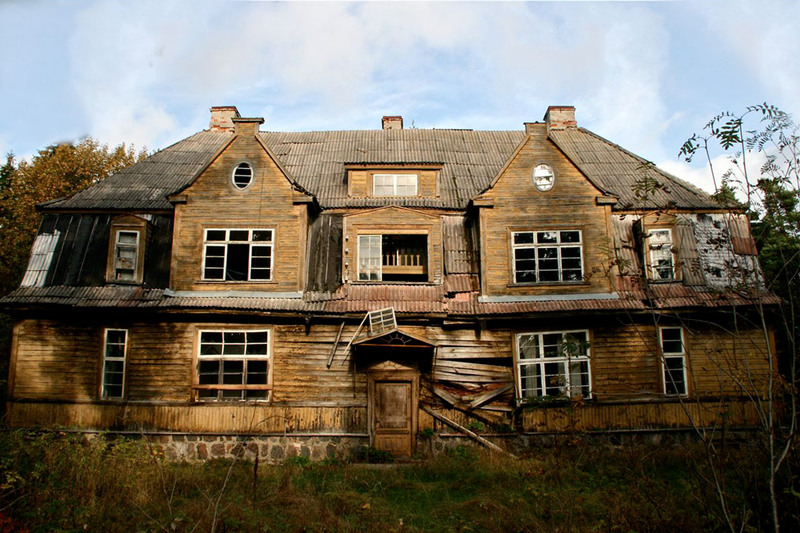 As a result, many buildings were demolished or simply forgotten, making Estonia a gold mine for people looking for things left behind. Over the last 100 years, it has gone from having over 1000 manor houses to less than a third of this number. Empty collective farms can be found every 30 to 50 kilometres along the highways, and dilapidated factory buildings have been turned into paintball facilities, hipster restaurants or just left to fall in on themselves. Most of the time these structures are guarded only by common sense and a warning sign. As far as health and safety rules go, we’re less of a “mind the gap” and “don’t try this at home” society and more of a “yeah, go ahead, but if you break something you’re on your own” one. Abandoned man-made structures are strangely alluring. If you’re looking for a feeling of time standing still or gas masks, it’s likely you’ll find them here. 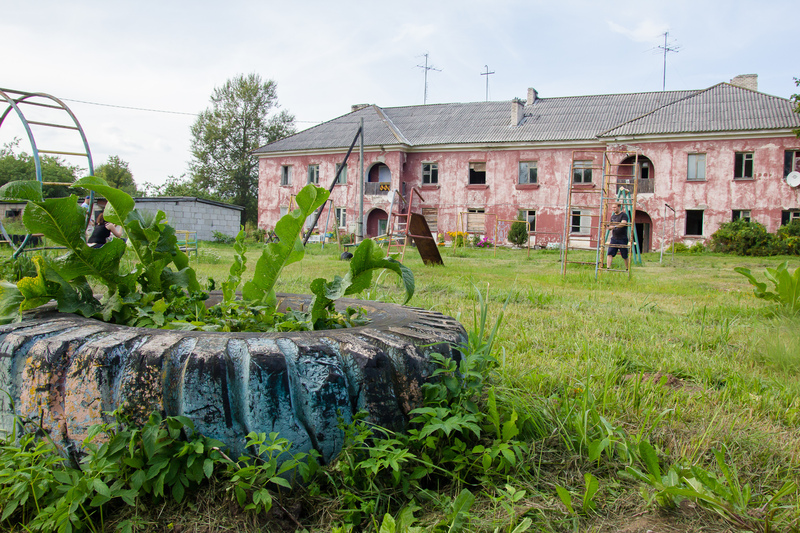 Almost every Estonian child has grown up near some sort of abandoned building, so for locals, they’re nostalgic places and not at all creepy. Okay, maybe just a little bit creepy. Viivikonna was a mining town during Soviet times. 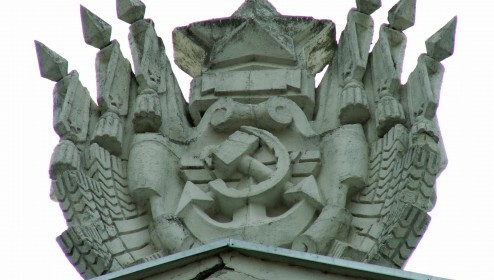 After WWII, Soviet Union forced Nazi prisoners of war to work in construction in many parts of Estonia like they did elsewhere as well, and they built most of Viivikonna in the Stalinist style. 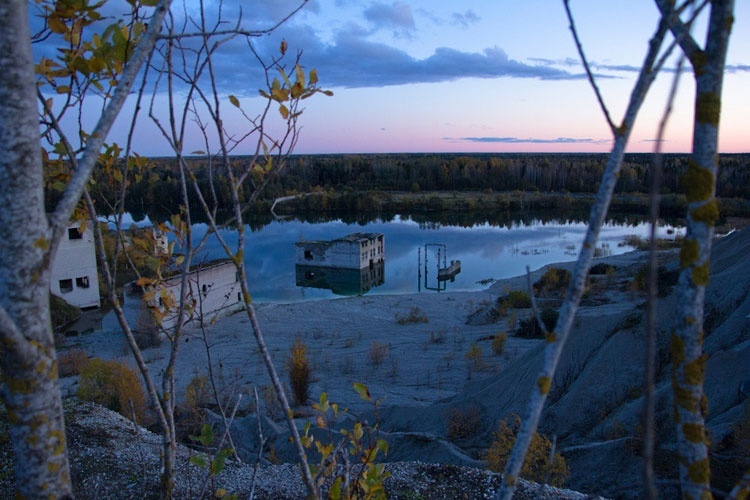 The town was finished in 1955, but its downfall began soon afterwards in 1974 after the closing of the mine. People moved away in search of jobs and better opportunities. 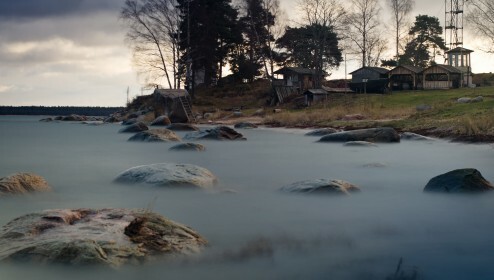 Viivikonna lost its status as a municipality in 1993 when Estonia regained independence, and at the beginning of the 2000s, its running water and electricity were cut off, scaring away quite a few residents. The ones who stayed behind became creative with finding alternative water and electricity sources and got really into heavy metal for a while. By that I mean many of them stole construction metal from the abandoned buildings to sell as scrap. 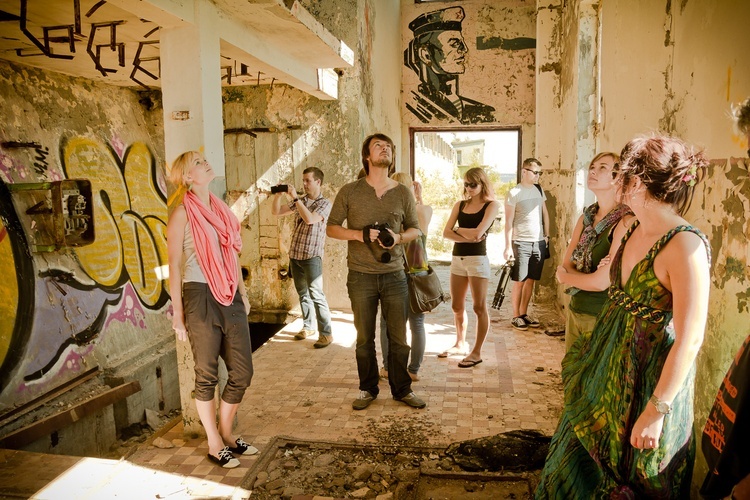 You can visit this place and many more cool abandoned Soviet buildings on our Narva and the Eastern Bloc Day Trip. Water constantly needed to be pumped out of the quarry, but as production levels dropped, the pump was turned down to pretty much meet the minimum needed not to flood the prison. In the 1990s, the pump was completely shut down. This flooded the quarry so quickly that there’s still a giant excavator, other equipment and buildings in the middle of what is now a crisp, clear, turquoise lake. These days it’s a popular swimming spot in summer. As it is by now also a private property it is surrounded by a wall and entry is only with permission. Don’t worry, they have now started selling tickets in summer to those who wish to explore. 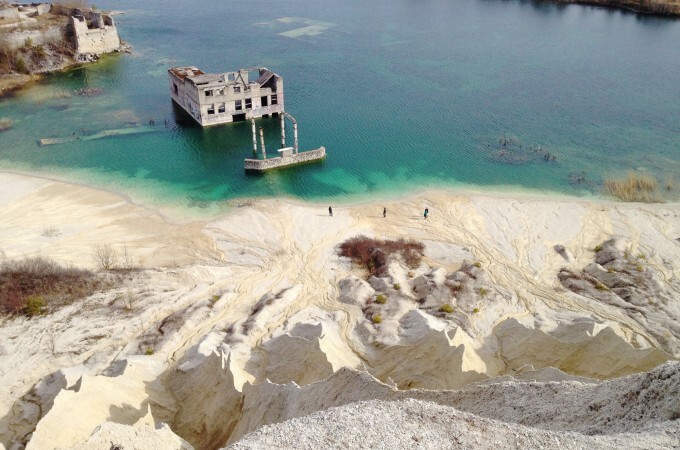 You can visit Rummu quarry and many other weird places on our Coastal Cliffs and Soviet Paldiski Day Trip. 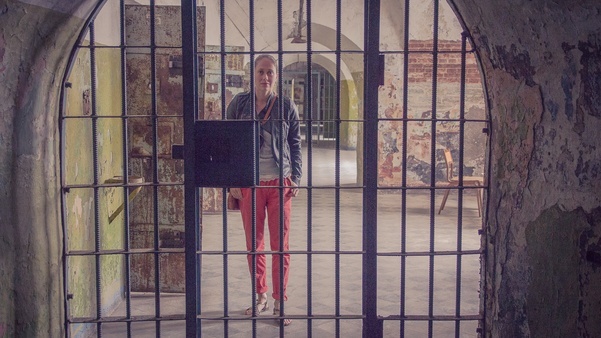 Estonia’s most notorious prison has gotten more and more attention from locals as well as tourists over the past few years. It was originally built as a fortress in the 19th century to protect the sailing route to St. Petersburg. After WWI and the Estonian War of Independence, Estonia was in need of a big prison as all others were burnt down during the revolution in 1917. In 1920, the Patarei sea fortress, which had been standing without purpose for quite a while, was turned into a prison that was finally closed down at the beginning of the 2000s. In 2007, it was turned into a culture park (whatever that means). There was a museum part that was open in summer, along with a lovely seaside bar. It was fun while it lasted. Now the prison is completely closed to visitors because some sections might fall on you. Rumour has it though that the safe areas might be reopened some unknown time in the future. P.S. You can buy the whole complex for about €3 million. Ungru manor was constructed in the 1890s. According to legend, it was built because the count’s love, a German woman, agreed to marry him only if she could have a manor just like the one in Merseburg, Germany. The woman died during the construction of the manor and it was never finished. It has been standing in ruins since the 1940s when a tower was destroyed by an airplane. After WWII, the Soviet army found a use for this desolate building – about one third of it was demolished and used to build a landing strip at a nearby airfield before local authorities somehow managed to intervene and save the other two thirds. 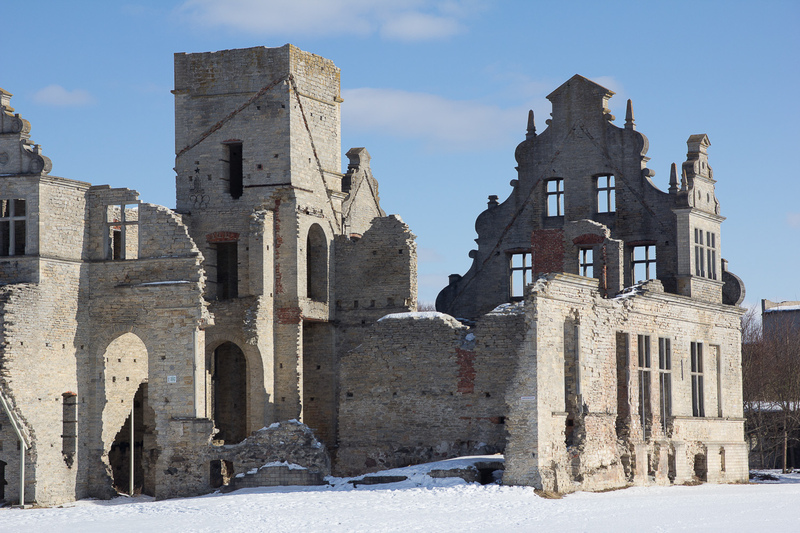 See this manor and other beautiful places on our Western Coast & Haapsalu Day Trip. As with many other places on this list, Estonians have little information about the Hara submarine base, let alone the knowledge to find it. It was built in the 1950s as a Soviet demagnetisation facility. Submarines needed to be demagnetised because their magnetic fields showed up on radars, which made spying more difficult. Also, magnetic mines exploded when they sensed a disturbance in the force. Magnetic fields were therefore a huge weak spot for Soviet submarines. The base, like most of Estonia’s coastline, was closed off to civilians. In the 1990s, construction metal that could easily be removed was liberated and sold as scrap. Nowadays, what is left of the base just stands in ruins. Visitors vary from curious first-timers to seasoned fishermen who regularly stop by to enjoy the strange scenery. In recent times some local entrepreneurs have started selling tickets to visit Hara base so bring some cash when you go looking for this place. Krenholm Manufacturing Company in Narva is the most impressive example of 19 century industrial revolution in Estonia. Three hulking building loom over the Narva river like a little slice of Manchester got lost here. 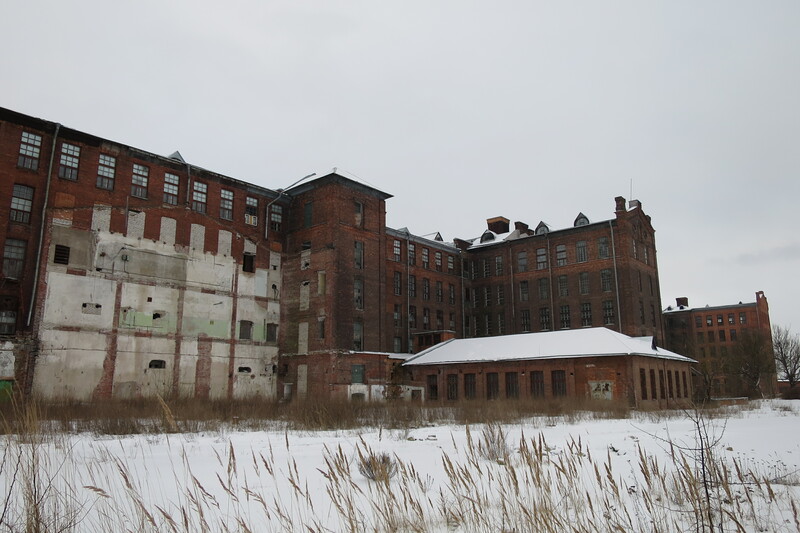 The building of Krenholm started in 1857 and soon enough this was the biggest single textile factory not only in Estonia but in the whole Russian Empire. Narva was almost destroyed in the II World War and this includes Krenholm. Under Soviet Union Krenholm was immediately rebuilt and soon became the biggest employer in the area. These things are not to last. Collapse of Soviet Union meant the inevitable downfall of this massive industry as well. By early 2000s Krenholm had been sold and closed. Now empty massive buildings are waiting for new life. Who knows what will come to pass in the long run but in short term there are some temporary culture projects happening here. Keep an eye open for concerts or theatre shows happening in Krenholm. You can also visit the whole complex with a tour courtesy of Narva Museum. 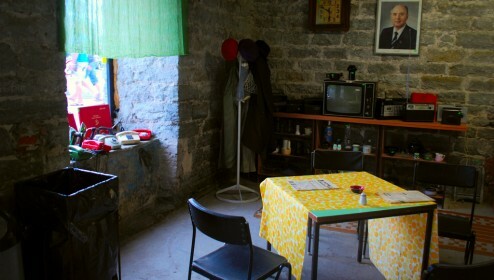 You can also see this cool place on our Narva and the Eastern Bloc Day Trip. Aegna island has been used for military purposes for centuries and the remains of different facilities are scattered around all over the place. There’s a military watchtower, a railway, a large gun battery and underground tunnels, all more or less still visible. It was closed off to civilians due to its military usage, but as it became more and more obsolete, it was turned into a border area. Oddly enough, Aegna was opened to the general public in the 1960s and big pieces of land were given to companies in Tallinn that built their own summer vacation sites there. Visiting this island was a big privilege and people were only allowed go there with a special permit. Later on, permits were no longer required. The island is a good place to visit in summer because of its golden beach. If you go searching for the gun batteries and abandoned bunkers, beware of the mosquitoes (you might think I’m exaggerating, but no, those little devils can really hurt you). 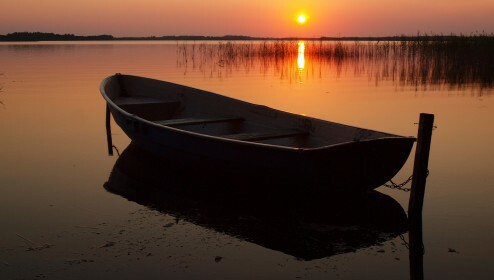 You can reach the island by a boat that leaves daily, but it only goes during the warmer months. The 1980 Moscow Olympics brought a lot of lovely weird buildings to Tallinn as the regatta was held here. The city needed to prove itself as the socialist heaven it had claimed to be for decades, and thus underwent a massive reconstruction before the Olympics. 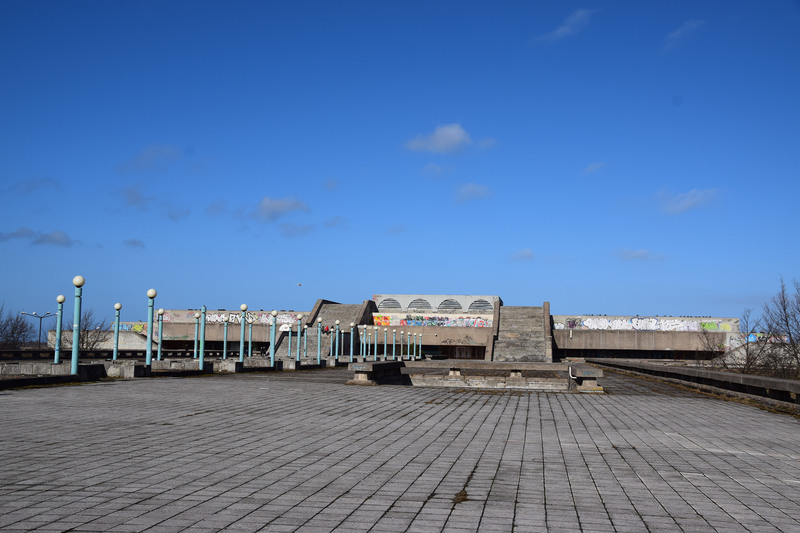 The “Linnahall” concert hall was one of the strangest buildings added to the shoreline right next to the harbour. The original name was a bit of a mouthful: Vladimir Ilyich Lenin Named Culture and Sports Palace. After the Olympics, numerous events were held at Linnahall because of its 4000-person capacity. In the 2000s, it was also used as an ice skating rink. “Linnahall will hibernate!” were the words said after the final event was held there in 2009. Ever since, it has been waiting for an investor to liven it up again, very, very unsuccessfully. Right now, the Linnahall building is covered in graffiti. While it’s generally considered an eyesore for the city, it’s a delight for the explorer. You can walk outside freely, and it’s definitely worth climbing up to the roof. The Kunda cement factory was built in the 1870s. Within a few decades, two more factories were added to supply the hugely booming demand. The cement factory ruins are a symbol of this small town, as are the grey houses and windows, the grey pavement, and the grey street signs. If Eiffel 65 were to write a song about this place, everything would be grey because producing cement creates fine grey matter that clings to stuff. It’s not as bad as it used to be, but it’s still visible. Nowadays, the town even has a museum dedicated to cement. In the museum, there’s a separate room where Estonian politicians, sportsmen, scientists and other famous visitors have left their handprints in cement. A newer cement factory is still in operation nearby. 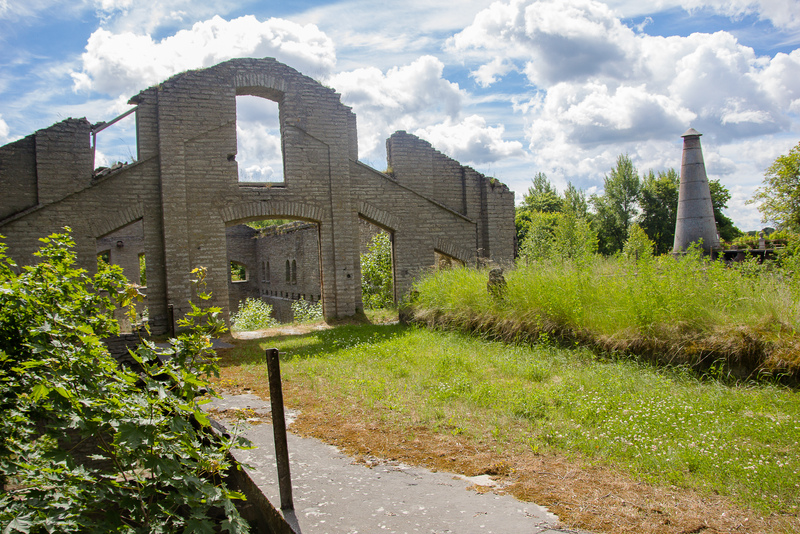 The original cement factory is now resting in peace for everyone to explore at their own risk. There isn’t much left, but it’s still very impressive. 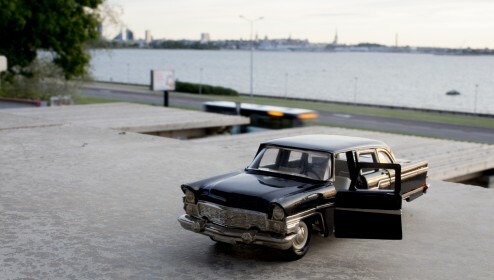 You can see it on our Narva and the Eastern Bloc Day Trip. Have you discovered any other fascinating abandoned places that you think should be included in this list? Let us know in the comments section! Good luck with Viivikonna and Rummu! Both are very cool and worth the effort. Great idea – I would love to help you with that article! Only found this site because of loads of the sites featuring in Alan Walker’s music video to his song ‘Faded’ – https://www.youtube.com/watch?v=60ItHLz5WEA – wish I could go! Awesome! 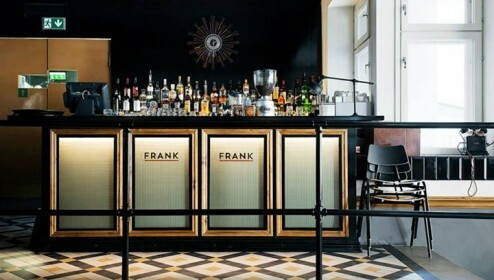 I have been to Linnahall and soon will visit Patarei (I hope) but I really need to make a roadtrip to Estonia to catch these other places too. Especially Rummu seems interesting. Estonia is full of odd eerie places. I found a few spots like this while touring Parnu and also notably and sadly there is a tribute to Northern Irish motorcyclist Joey Dunlop who died in an accident on the edge of Tallinn. It’s a great country though. There are small music businesses and other things inside. Do you know anything about Naissaar? I want to go there, but I’m unsure whether or not the ferry price is worth the trip. And Hiiumaa Ristna area has a big military touch as well. Aegna is nothing compared to Naissaar. 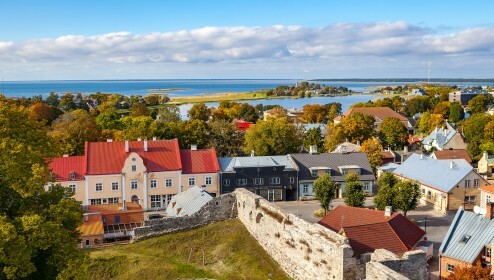 Discover western coast and probably the most beautiful town in Estonia - Haapsalu. Discover desolate medieval and Soviet wonders during your quest to the border of Russia.